I still remember vividly things I said, thought or did at different, earlier points of my Life when the future was long and any fantasy could become reality. How many of those were carefree fantasies, to be left alone on the assumption that they would be fulfilled by a future self? 23 years ago my dad dropped my brother and I off at the Bedok cinema to watch Disney’s Beauty and the Beast. When we returned home my mum asked me how was it. I remember saying “Beautiful show, the type that would have been great to watch with a truly special girl.” (no offence to you, bro!) I wanted a soulmate. When I was 25 I was in a car on the way to Blockbusters with my friends Ed and Diana, and I made a remark “Wow I’m a quarter of a century old now!” They laughed and said “Come on Greg it’s not old!” And we talked about the future and how great it would be, and what we would accomplish. When I was 28 I had dreams of financial goals that would culminate in freedom and a lifetime devoted just to learning and growing when I achieved them at 40. I still remember fantasizing about business models and portfolio figures on bits and pieces of paper and what I’d do when I retired. Time flies. The older you get, the faster it flies. And when occasion gives us pause to reflect, we realize that the dreams we had of yesteryear have remained dreams today, and if we don’t make a real decision to change, they will stay dreams in the years to come. Maybe it’s because we are so caught up with trivialities and minutiae that we have no idea of the passage of time. We run the corporate treadmill or the hamster wheel of daily chores. We fight fires, deal with negativity, accumulate mental and emotional stress on a day-to-day basis. We are fighting so hard to survive that we forget to step back and look at the big picture. Sometimes we are trapped and so depressed by Life situations, unexpected tragedies, toxic relationships, and other niceties where it seems like there’s no way out. And the best we can do is drown ourselves in pointless but distracting activity, even sleeping it off so time passes and we hope that when we wake up, miraculously, it will be all right. These possibilities get encapsulated in that one horrible word connoting an equally horrible fate: Routine. Quite a bleak picture. Actually let me be blunt. It frightens me to death. Whatever the reason, by the time we do wake up and realize what we’ve lost and the damage that has been done to our dreams, it may well be years, or even decades. And by that time we might not be able to do very much to struggle and pick up the pieces. We may have lost our fire, our motivation, our will. We may be physically or mentally incapable, especially if we haven’t lived a healthy lifestyle. We may have accumulated too many regrets, become paralysed by too many “couldas, wouldas, shouldas”. And here’s where we meander back to the point of this post: The fortune of having a second new year soon after the first. CNY is a reminder. It makes you reflect and account for the year so far after just ONE month. This month is 1/12 of the year, 31 days of 24 hours during which you could have accomplished a lot. Well… have you? And it gives you a second chance to reboot the new year again after one month, rather than wake up after a year (or years). It’s important to reflect constantly, continually. Before too much time has elapsed, too many opportunities have passed, and too many chances to make good are lost to you forever. What have I accomplished this month? Am I happy with how I have lived this month, this day, and what would happen if I lived the same way projected a year, three years, five years out? Have I contributed to anyone’s Life today? What mistakes did I repeat today? What did I lose today? What lesson can I learn from that? What have I gained today? What can I do to avoid complacence? Have I procrastinated on anything today (again)? Am I improving as a person? So how do you make sure you don’t waste your years and ultimately, your Life? Do a stocktake – If you don’t know where you are, you won’t know how far along are you to reach where you want to go. And if you don’t even know where that is, it’s time to find out! Write down your goals, what you’ve achieved, what you haven’t, what you’ve procrastinated and why. Doing a stocktake gives you a very honest picture of where you are, and where you are likely to stay unless you do something about it. Contribute to others – I can’t say enough about contributing to people. Doing something good for someone else, at just the right time, during just their right need, is something that will never be wasted. In fact I tell many people worried about losing their sense of direction or purpose, that if they just made it a point to do one AOK for another person a day, they can never say that that day was wasted. Identify energy drains and plug them – leaks like this kill you slowly. If you don’t identify what is holding you back and draining you of the motivation and energy to strive for the big goals in your Life, twenty years later you will regret allowing this to happen. Things like a dead-end job or a toxic relationship create inertia that you have to overcome. Otherwise years later, only one person will be sorry for you – you. START DOING new things – Remember the William James quote above; without novel experiences “the days and the weeks smooth themselves out in recollection to contentless units, and the years grow hollow and collapse.” By taking up new things, you recreate a situation you may not have experienced since youth in which you are constantly learning, thinking, retaining, and then applying. You get out of your routine and force yourself to prioritize your Life. When you’re young, it looks like the road ahead is long, and that time wasted, energy drained, motivations lost, can always be made up for. When you’re older, you realize that everything that holds you back has great consequences later. 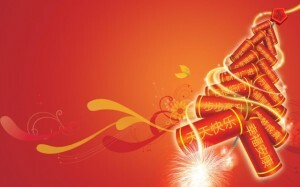 When we were kids, CNY looked like a second chance… for gifts after Christmas or New Year. As adults, CNY can be a second chance – to rethink your Life goals and resolutions, and make a real start. Take these second chances. Run with them. Resolve not to let another day be lost to negativity, inaction, laziness, depression. And when the new year comes, see how far you’ve improved by not taking Life for granted and letting things slip and slide.